The apprentice ambassadors have re-launched this year with new recruits and are gearing up to visit the Job Centre, schools and colleges across the city. 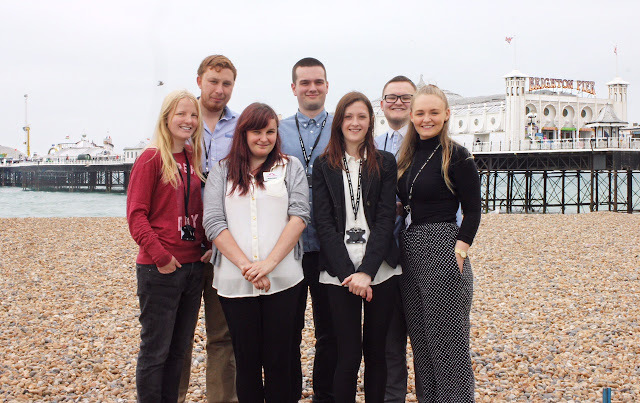 The new apprentices have joined the existing team, making total of seven ambassadors, all of which are apprentices at Brighton & Hove City Council, covering a range of different sectors from the Register Office, Adult Social Care to Media and Communications and are all undertaking a nationally recognised qualification from level 2, advanced level 3 to higher level 5. Since starting in June 2014, the ambassadors have reached 1,705 young people and 200 parents across Brighton & Hove. The ambassadors were brought together by Brighton & Hove City Education and Inclusion department, to promote the importance and availability of apprenticeships to young people and parents/carers, giving them the chance to find out about other career options. Councillor Tom Bewick, Chair of Children, Young People & Skills Committee, said: “One of the biggest difficulties for young people is getting their foot in the door entering the job market for the first time and break the cycle of no experience. Kelly Butler, former Human Resourses Apprentice and Ambassador, said: “I have secured myself a full-time job with Human Resourses Workforce Development team as an Administrator at Brighton & Hove City Council.